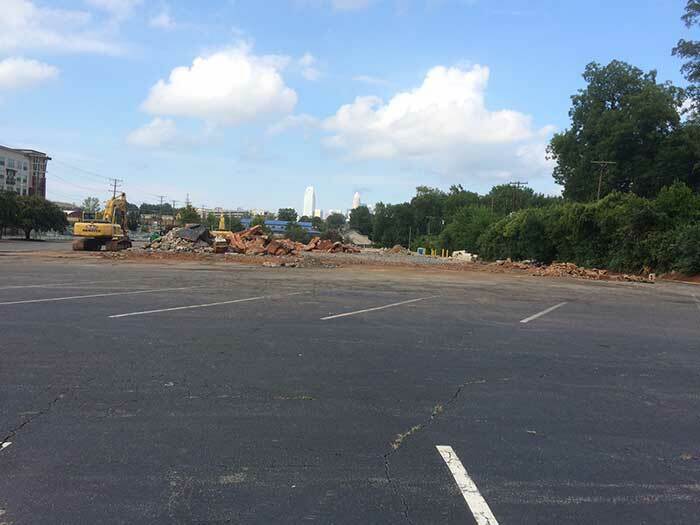 If you’ve headed down South Boulevard recently, you’ve noticed that demolition is underway at Sedgefield Shopping Center. The demolition kicks off a 10-year redevelopment project overseen by Marsh Properties and Aston Properties that will be completed in several phases. Construction will begin with Parcel A later this year and Parcel C at the end of next year. Expected completion date is late 2016. 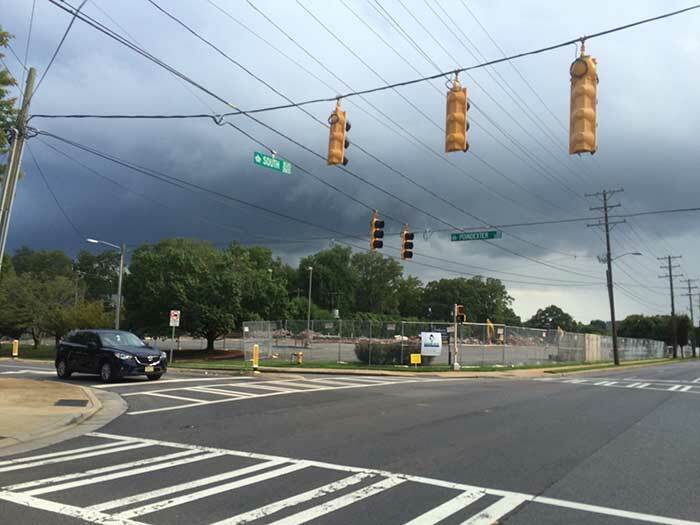 These phases includes 300 multi-family housing units (Parcel C) and 68,000 sqft of retail, including a full-service Harris Teeter (Parcel A). Construction on Parcel B is not expected to begin for a minimum of three years and all additional parcels will be developed based on demand. Market conditions will determine the final mix of residential and office space but it’s expected at this point that an additional 30,000 square feet of retail and up to 100,000 square feet of office space will be developed. 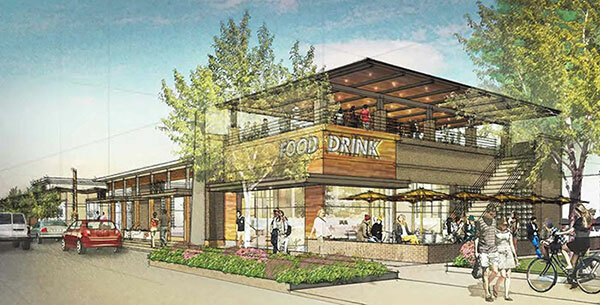 This project is bringing a ton of retail and residential units to the southern part of South End. While I don’t necessarily agree that a Harris Teeter is necessary (it is just seconds from Publix), this is a great project overall. 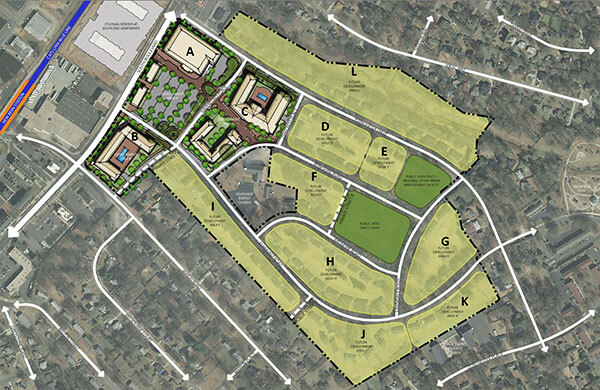 It extends South End, adds retail, adds walkability, adds residents and adds a new destination to the area. 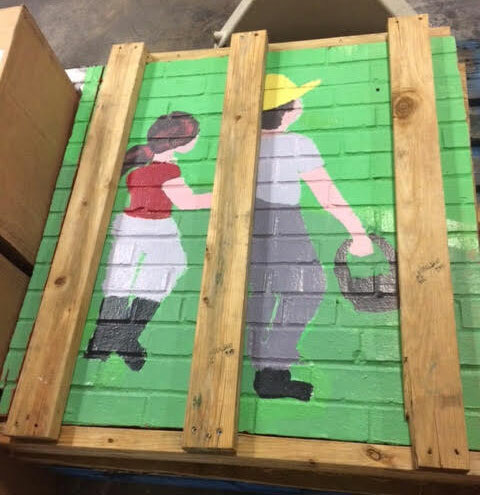 Source: “Development folks saved the cute mural from the side of the old Healthy Home Market and gave it to the owner.” Here’s a photo of the mural.